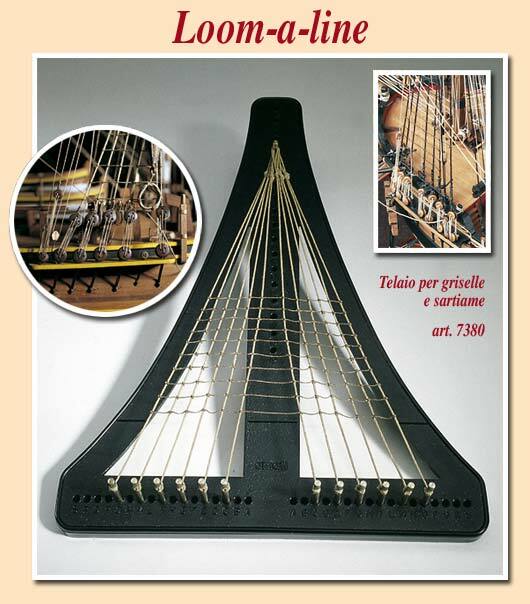 Amati 7380 Loom-A-Line rigging tool! Loom-a-line is handy rigging jig for naval models of all kinds and dimensions. Using this tool, rigging will be done very easily. Now you can ensure equal tension on all your lines and tie perfect knots. The Modeller’s Workshop is a Canadian company operating in Montreal, Quebec, and, as such, Canadian clients should expect to pay appropriate taxes.